'Tis the Season for Rebates! Don't miss out on up to $5,250 in savings on AC Systems! When winter is coming to Amherst, Hollis, Brookline, and the rest of Southern New Hampshire, you have to be prepared. Your heating system is most likely to fail on the coldest day of the year, when it’s working the hardest. With 24/7 live customer service from Sanford Temperature Control, you’ll always have someone to turn to when you need help the most. We work hard to ensure you and your family are safe all winter long. Avoid system failure altogether with regular heating service on one of our maintenance plans! Looking to invest in a brand new heating system, or do you need a replacement or an installation? You can count on our licensed, certified, expert technicians. We offer solutions for every system, including: furnaces, heat pumps, boilers, hybrid heating systems, and ductless HVAC. When it comes to heating repairs, service, or installation, trust in Sanford Temperature Control! Don’t get burned by the summer heat in Southern New Hampshire! With air conditioning repairs, service, and installations from Sanford Temperature Control, you’ll enjoy cool comfort throughout your home or commercial space. Our NATE-certified technicians are on hand to assist you through the entire summer season and beyond, so you’ll never have to suffer. We’ll ensure you enjoy a comfortable and safe space no matter what the weather brings. We’re the experts in everything from heat pumps to ductless HVAC systems, to standard air conditioning systems, so give us a call today for all your A/C service needs! Hybrid heating systems deliver optimum energy efficiency and exceptional performance. Hybrid systems automatically switch between natural gas and electricity to make use of the most efficient fuel source. Our highly-trained technicians are experts in the advanced technologies used in the installation, repair, and maintenance of hybrid heating systems, as well as other heating systems. Call Sanford Temperature Control today to speak with a knowledgeable technician and learn more about our hybrid heating systems! 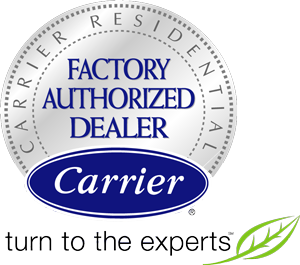 We’re a Carrier Factory Authorized Dealer, which means we provide only the best products and service in the industry. No hot water? Leaky tank? Is your water heater costing you money? Look no further than Sanford Temperature Control! We install, repair, and maintain standard, modern water heaters as well as innovative tankless hot water heaters. Our expert, licensed technicians provide accurate recommendations and custom installations. High-quality repairs can save on expensive replacements, and improve performance and energy efficiency. Tankless water heaters provide many benefits, including an immediate and nearly endless supply of hot water, as well as significant energy savings. Contact Sanford Temperature Control today to speak to an expert and schedule your water heater service! Save up to 20% on your home energy costs! With top of the line AttiCat™ Blown-in Insulation installed in your home, you’ll enjoy a more comfortable and energy efficient home. The non-combustible materials are 100% safe, and installation will increase your home’s resale value. Call Sanford Temperature Control at (603) 769-3956 to speak to an expert about AttiCat™ Blown-in Insulation today! 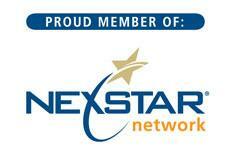 Service Partner Plan Special discounted pricing and benefits! Sanford Temperature Control is synonymous with quality. Superior products, expert technicians, and honest business practices deliver service you can trust. Our user-friendly systems provide comfort at a user-friendly price. We’ll install, maintain, and repair: forced air heating/cooling systems, heat pumps, hybrid heating systems, ductless options, hydronic heating, air quality products, duct sealing, traditional and tankless water heaters, wireless controls, standby generators, and more. Our licensed technicians are drug tested, background checked, and participate in on-going factory training to keep pace with increasingly sophisticated technologies. Sanford Temperature Control can solve the most complex problems with all makes and models of equipment. 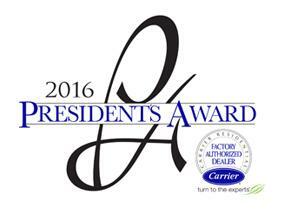 We take pride in our recognition as a Carrier Factory Authorized Dealer. Having earned this distinction through consistent demonstration of exemplary business standards, customer dedication, and technical expertise, we are able to offer our customers a line of premier products. From energy conservation to lower sound levels, Carrier brand equipment perfectly balances affordability and luxury. You’ll not only trim operational costs, but enhance your indoor comfort. You’ll protect the environment, while enjoying more precision control over your indoor environment. You’ll benefit from greater reliability and have the peace of mind of outstanding warranty coverage. When you contact Sanford Temperature Control, we recommend only those products with stand-out track records. Established in 1982, our long history has uniquely qualified us to maximize the return from your investment and tailor our service to meet the challenges of living in Southern New Hampshire. For heating and cooling service, repairs, and installations, as well as duct sealing, insulation, and air quality services – count on Sanford Temperature Control! At Sanford Temperature Control, we work with you to fulfill your specific requirements, stay within your budget, and provide sustainable solutions. 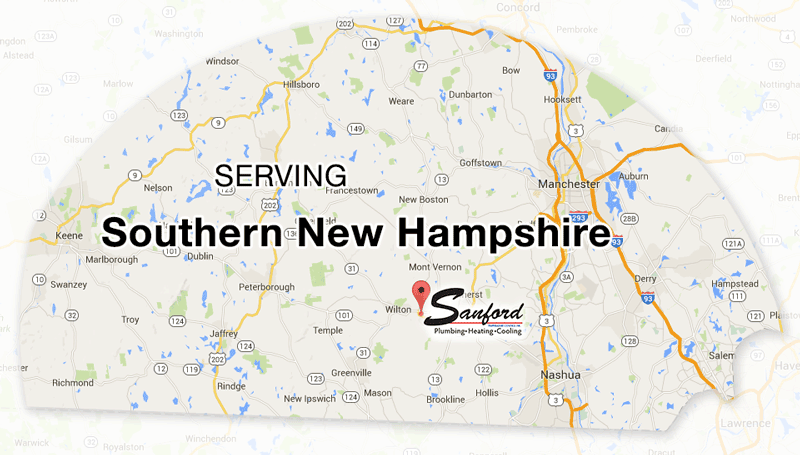 We offer convenient scheduling of all services, and 24/7 Emergency Repair across Milford, Nashua, Amherst, Hollis & Brookline, NH. When you contact us at (603) 769-3956, you’re never dealing with an automated voice, left endlessly on hold, or subjected to long delays. A courteous and helpful member of our staff will address your specific requirement, provide the information you need, and set you up with prompt and qualified service. Through meticulous project management, our technicians arrive within the stated timeframe, prepared to handle the scope of the job, and never leave behind consequences, such as mess, damage, or discarded equipment. Our goal is to improve the efficiency, performance, and dependability of the comfort systems in your home. Wireless thermostats, WiFi accessible HVAC, zoned temperature control, water heating, Generac generators, air purifiers, humidifiers, dehumidifiers, carbon monoxide detectors and an extensive list of quality products and services are targeted toward the effective management of your indoor environment. No Heat? No Air? Sanford Temperature Control Will Be There.